I’ve been a sprouter for many years. We grew up with an amazing mother who grew much of our food organically, either in the garden or in jars on the window sill. When I was a child, I would fantasize that eating sprouts gave me all the energy of entire trees, and I still consider them rather miraculous. 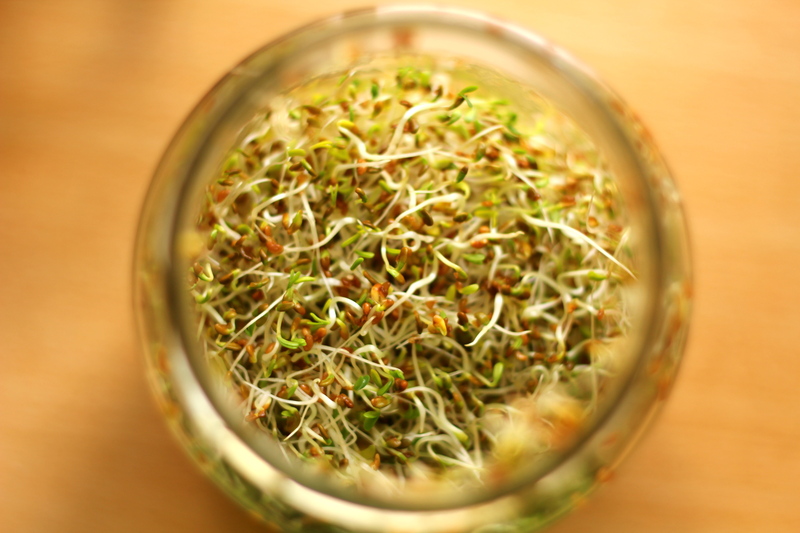 Sprouting involves growing seeds to just beyond the point of germination, then consuming them as a fresh, living food. Not only does the process of sprouting transform tasteless, dry seeds into little morsels of tasty goodness, it activates the seeds and removes much of the phytic acid, making the nutrients in them much more bioavailable than if they were to be consumed unsprouted. Different sprouts provide different nutritional benefits, but all are a great combination of delicious and wholesome! Sprouting is a very versatile practice. I sometimes refer to it as “gardening in a jar”, as it allows one to grow their own fresh food in situations where having a productive vegetable garden may not be possible. I sprout on my sunny window sill during winter months where my garden is largely shaded; I sprout on the road, often travelling to remote places where fresh produce simply isn’t available; I sprout on hiking and climbing trips, hanging dripping bags of seeds from my backpack; I sprout on bicycle trips, canoe trips, and even while sailing! 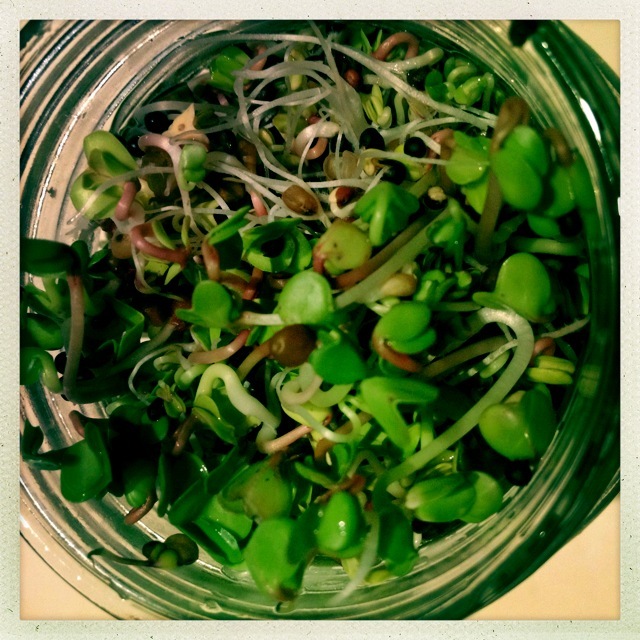 In short, sprouting is an excellent way to have access to fresh food in almost all situations. growing food at sea… mung beans and alfalfa. So… how does one go about it? All you need is a few basic things. Seeds to sprout (obviously). Mung beans, alfalfa, fenugreek, lentils (brown, puy, green…), chickpeas, onion seeds, red clover, broccoli… these are some of my favourites but by no means your only options. Try a range of pulses and other seeds, and see what works for you! Something in which to sprout. This can be anything from specially designed sprouting tubes and trays, glass jars with a piece of cloth over the open top (if you can’t find hemp which is ideal for its anti-fungal properties, synthetic “chux” cloths work just fine), a bowl or cup, or a bag of some relatively mould resistant material such as hemp. Water. Filtered or spring water is ideal, as is the case for most watery applications in the kitchen and in life! Soak seeds in water. 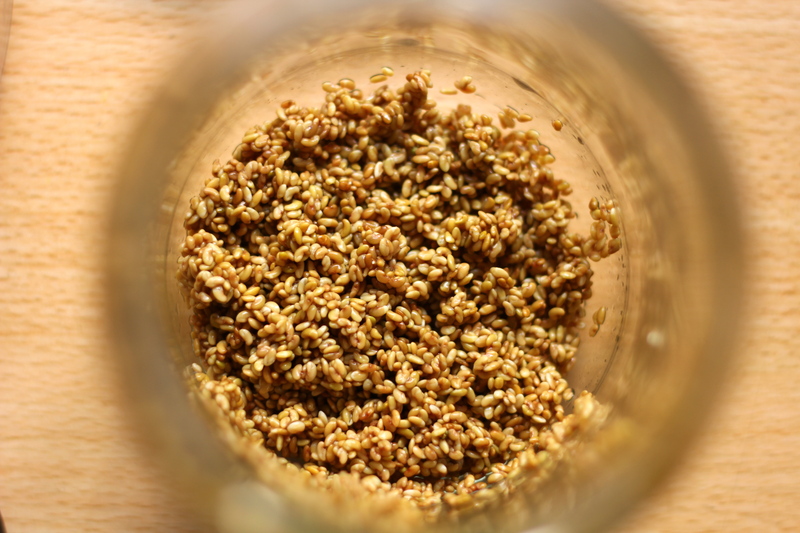 Most seeds are best soaked 12 hours or overnight, but a few of the particularly mucilaginous ones such as buckwheat prefer a shorter soaking time. Rinse seeds well and drain. If you didn’t soak the seeds in your sprouting apparatus (be it a tray, a jar, a bowl, or whatever you are using), transfer to this now. Rinse and drain seeds several times a day until they are ready to eat! 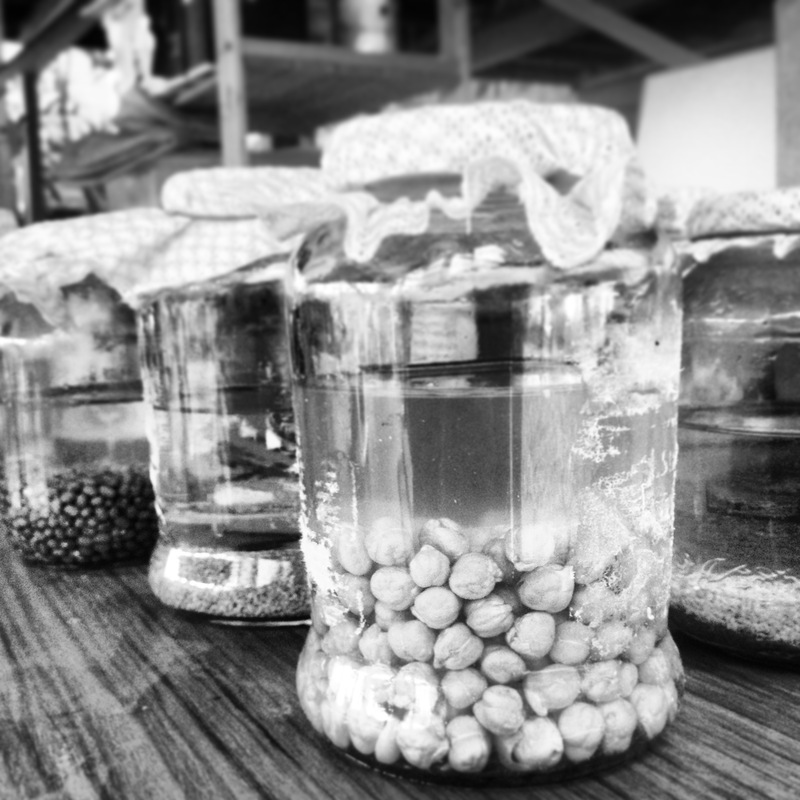 Most legume and grain sprouts (mung beans, chickpeas, lentils, adzuki beans; wheat, barley etc.) are ready when the tail of the sprout is as long as the seed. 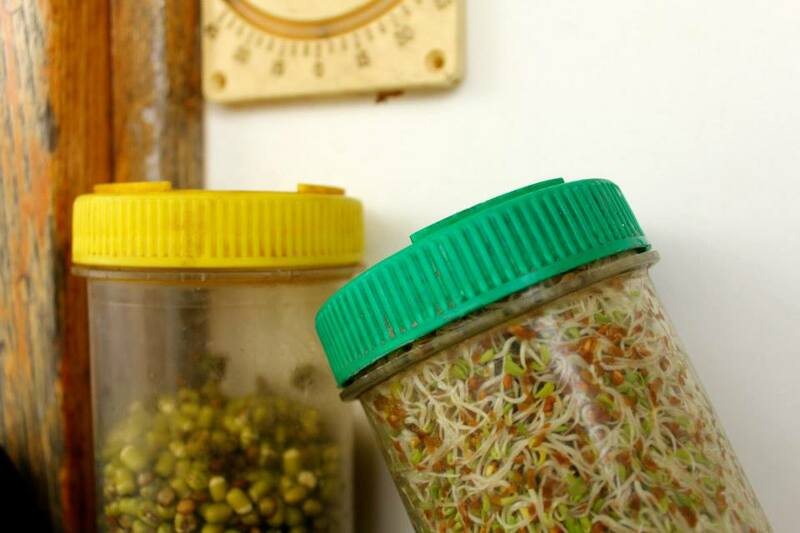 Most seed sprouts (alfalfa, broccoli, fenugreek etc.) are ready when they grow their first two tiny leaves, their cotyledons. Sprouts will take longer to grow in cooler climates than during warm weather. For example, afalfa can take up to 10 days to be ready in the cold of Tasmania, or 3 days in the Far North Queensland tropics in summer. Unless you’re planning to devour your delicious sprouts immediately, make sure they’re well drained (so they don’t go slimey) and put them in a jar in the fridge. You don’t need to water them any more. 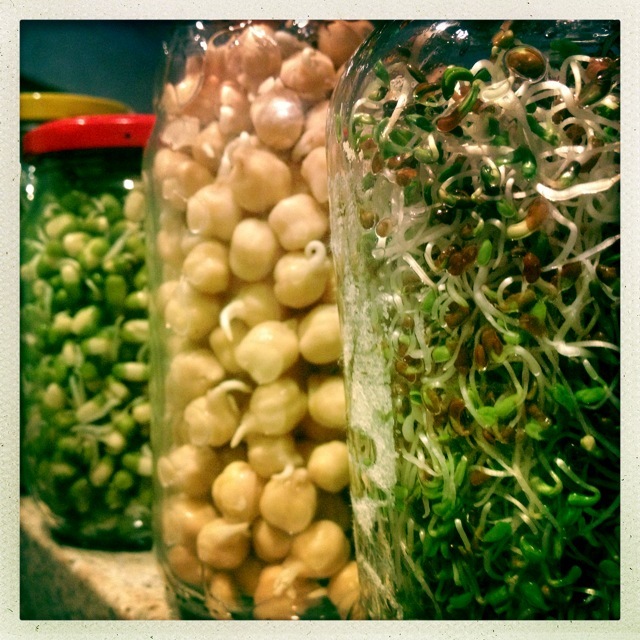 Keep a lid on the jar so your sprouts don’t dry out, and eat them within a week. Yum! Thank you. This post was very helpful.